St Benedicts - The F-Word Society - What is Feminism? 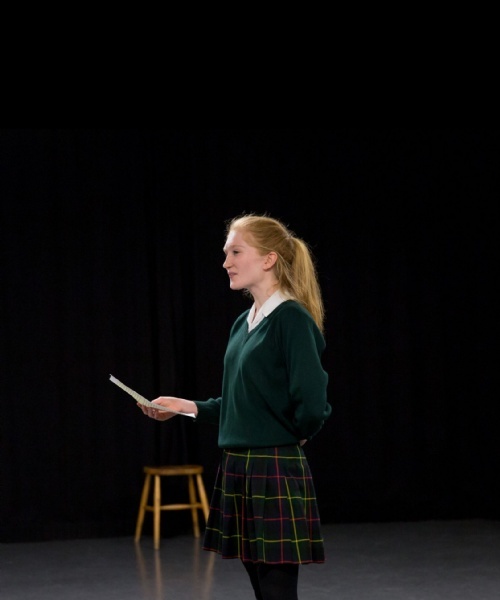 Zoe Crown (Year 11) outlines her reasons for founding the new F-Word Society at St Benedict’s, and what she hopes it will achieve. In December, I launched the F-Word Society - a society that will mobilise everyone in our school community to join the campaign for equality. Feminism, I am aware is an unpopular word. I am very aware that fighting for women’s rights has become identified as man hating. I’m a feminist and I do not hate men. Feminism, by definition, is the belief that men and women should have equal rights and opportunities. It is the social, political and economic equality of the sexes. After observing the gender stereotypes that infiltrate our society I decided that I was a feminist. This was something that seemed uncomplicated to me. Why should women be discriminated against due to their ability that they could one day conceive a child? Why should men feel that expressing emotion is a sign of weakness? However, due to the unpopularity of the word ‘Feminism’ women are choosing not to identify as feminists. Apparently it is un-attractive, too aggressive and anti-men. Fortunately, I have led a life of privilege compared to millions of other women and girls on our planet. My parents did not love me less because I was a girl, nor did my school limit me due to my gender. But for millions of women throughout the world this is not the case - almost 750 million women alive today were married before their 18th birthday. And the day a girl is married, her entire future is compromised. I believe that I should have the opportunity to make decisions about my body. I believe I should be allowed to make decisions about who leads my country. I think it is right that I am paid the same as men and I believe I should be given the same respect as my male counterparts. However, there is not one country in the whole world where all women can expect to experience all these rights. Human rights. Not one country that is completely gender equal. I therefore want to extend my welcome to everyone who wants to come to the F-Word Society. We need change in the world and for that change to happen, we need everyone to feel welcome to participate in the discussion. So boys, I would like to extend my invitation to you because gender equality is your issue as well as mine. It is not a usual topic of conversation to talk about men being imprisoned by gender stereotypes, it is always about the sexualisation of women by the media. But men are held in captivity to the same extent as women. Suicide is the biggest killer of young men in the UK, above road accidents and cancer. WHY do men feel the need to conform to a certain ideal of success? If the stereotypes surrounding men are eradicated, so will all the issues faced by women. Men do not have the true luxury of equality either. And I am a true advocate to change this. The F-Word Society is for all who want to discuss, challenge and inquire about all gender issues facing not only the international community but those closer to home, in our own communities. Every session will begin with someone presenting on a topic of interest about gender equality. This will then be opened up to everyone for a debate. I have thought of a list of possible topics we could address, and anyone that wants one can take a question which they would like to present about. This is not a club for argument but instead a forum where we can be the people who will change the world for the better: eradicating inequality and creating unity among all. We are the ones who will change the way gender is perceived, creating a society where no one is defined as two sets of sometimes apparently opposing ideals, and where we can be set free to be whoever we wish to be. I have been extremely nervous about starting the F-Word Society. But I have come to the conclusion that if I don’t, who will? If not now, when?